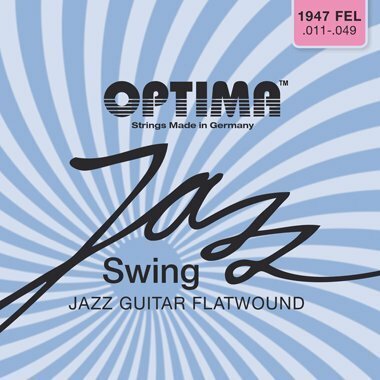 .010 .015 .022w .030 .037 .049 - Set / Jazz Guitar and E-Guitar Chrome-Nickel Flat Wound The OPTIMA FLATWOUND STRINGS are wound with a chrome nickel flat wire and are finely polished afterwards.One imagines a flat wound string like that. Perfection meets innovation. The bass strings are all wound by the Double Wound process. If you have any questions about this product by Optima, contact us by completing and submitting the form below. If you are looking for a specif part number, please include it with your message.